Gain fast, easy visual access to the problems most often encountered in practice! 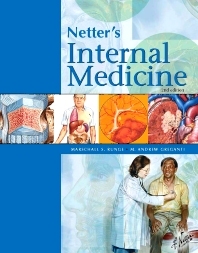 This resource combines hundreds of exquisite Netter images – including several new paintings created especially for this book - with concise summaries of the most current medical thinking on common diseases/conditions, diagnostics, treatments, and protocols - for a single easy-to-use quick-reference guide. Instructive and memorable Netter plates provide a rich visual understanding of every concept. The result is a superb source for ongoing clinical reference as well as patient and staff education.